Alak-Tor, Fatesmith of Incaru is one of three Hive Darkblades, the others being Ba-Kuur, Fatesmith of Incaru and Gaurog, Fatesmith of Incaru, that protects Dûl Incaru, the Eternal Return in The Shattered Throne. 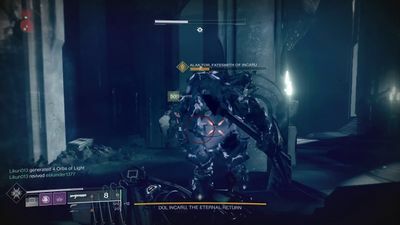 He and the others attempt to allow Savathûn to access the Distributary, but was killed in doing so. Alak-Tor has a similar name to Alak-Hul, the Darkblade.